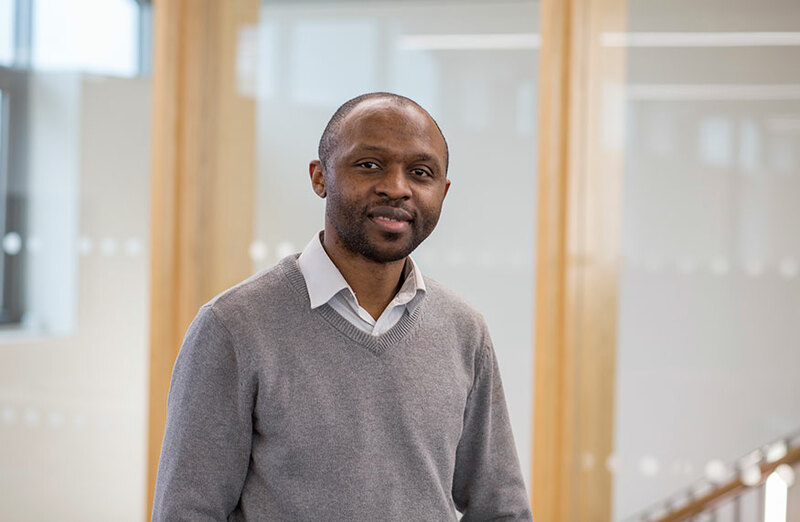 Dr Mbah has an interdisciplinary background that draws on Management, Development and Education. He currently lectures in the Institution of Education, contributing to the teaching of a range of modules and providing research supervision. Prior to joining NTU, Dr Mbah taught the following modules at Bournemouth University. In addition, he was an active member of a research team, providing PhD supervision and examining transfers. He also led an internal funding scheme and provided leadership to the University’s Research Staff Association (RSA). Prior to joining Bournemouth University in 2015, he contributed to the teaching of Research Methods at Canterbury Christ Church University, as well as served as a member of an Ethics Committee. Following the completion of his PhD on the topic "Rethinking university engagement to address local priority needs within the context of community development: a case study", examined by Kwame Akyeampong, Professor of International Education & Development at Sussex (external), Dr Mbah has administered a number of projects. He led a project that explored the placement experience of international students. The findings of this project were presented at the Society for Research into Higher Education (SRHE) network event in London, on 13 November 2015. As Principal Investigator, he also completed a Fair Access research project that aims to understand university financial support and bursaries and their impact on students’ decision for higher education / university, choice of degree programme, retention, well-being, success and employability – findings were presented at the British Education Research Association (BERA) conference in September 2017. Society for Research into Higher Education (SRHE) Research Awards 2018. A determination of how African academics understand and maximise the existing and potential role of indigenous knowledge and practices within their community-based research: Profiling the ecologically minded university and its contribution to sustainable development (PI). NTU School of Social Sciences QR Funding, December 2018. Understanding value driven volunteering and its instrumentality in fostering a student’s civic engagement and wellbeing (PI). NTU School of Social Sciences QR Funding, September 2018. Citizenship, extracurricular engagement and civic responsibility: Perceptions of civic identity and civic responsibility in a sample of Army Cadets (Co-PI). In realising his research objectives, a versatile set of designs and skills come to fore, notably: Qualitative Case Studies, Ethnographies, Narratives, Knowledge Co-creation and Mixed Methodology. Enquiries about PhD or research supervision that touches on any of the mentioned areas of interest are most welcome. Further information regarding research degrees can be obtained from NTU Doctoral School. Mbah, M. & Fonchingong C. C. 2017. Forging a university-aided indigenous community education policy: village elders, informal education and social development in Cameroon. Engaged Learning Symposium, University of Sheffield, 6-7th July 2017. Mbah, M. 2016. Towards a university-driven service learning model for community development. Association for Moral Education’s 42nd Annual Conference, Harvard University, Cambridge, MA, December 8-11, 2016. Mbah, M. 2016. The instrumentality of community-based service learning in instigating local transformations: An investigation into the role community voices. 13th PASCAL Conference in Glasgow, 3-5 June, 2016. Mbah, M. 2015. (Invited keynote speaker) The idea of the interconnected university for a sustainable community development. The international scientific-practical conference on “Studies in Modern Society”, Siaulial, Lithuania, 26th February 2015. Society for Research into Higher Education (SRHE) 2018 Research Awards. Travel grants from the Association for Moral Education (2016) and World Social Science Forum (2013). In 2013, he was granted a Graduate Scholar Award by the World Universities Forum. Mbah, M., Eccles, S. & Frost, S. (2018) Student Perceptions and Institutional Targets: the matches and mismatches of financial bursary support. Widening Participation and Lifelong Learning, Vol. 20, No. 4, November 2018. DOI: https://doi.org/10.5456/NVPLL.20A. Tauringana, V., Mbah, M. and Alexander, P. (2017). Interrogating the importance and awareness of NSS improvement initiatives: A case study of final year undergraduate students. Journal of Further and Higher Education. Mbah, M. F. (2016). Towards the idea of the interconnected university for sustainable community development. Higher Education Research & Development, 1-14. Taylor and Francis. Mbah, M. (2015). Towards a model of university-aided technologically driven community development. Community Development Journal, 50(3), 463-477. Oxford University Press. Mbah, M. (2014). The Dilemma of Graduate Unemployment within a Context of Poverty, Scarcity and Fragile Economy: Are there Lessons for the University? International Journal of Economics and Finance, 6 (12), 27. Mbah, M., 2012. Motivation of university support staff to improve work performance. Saarbrücken: Lambert Academic Publishing. Are students ready for a flat world?